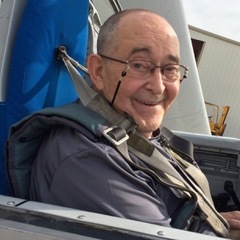 News has reached our group with the passing of Delta Golden Wings member retired Delta pilot Captain David Allan Brown, age 79. 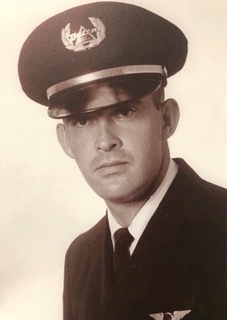 Captain Brown joined Delta Air Lines 05-03-1965 and retired October 1996, based 030/DFW as Line Ck. Airman. He is survived by his wife Heidi, his children and grandchildren, plus many other friends and aviation colleagues. Memorial services will be held July 28th at South Garland Baptist Church in Garland, Texas. 1709 Surrey Ct., Garland TX 75043-1356. Obituary....................................Captain David Allan Brown, age 79, loving husband, father, and Pops was born on September 24, 1938, in Washington, DC and passed away on July 14, 2018, in Dallas, Texas. Dave developed a love of flying at an early age. After graduating from high school he entered the Air Force where he served for 3 years. He was hired by Delta Airlines on May 3, 1965. He retired as a Captain after 31 years. Throughout his time flying, David served in many different roles including Flight Instructor and Line Check Airman. His favorite times were when he was flying an airplane. Dave met his wife, Heidi in Ann Arbor, Michigan and they were married in April of 1985. They moved to Dallas, Texas and raised their family there. Dave was a proud member of Birds of a Feather and a mentor to many. He spent his last years serving different organizations that give back to the community. Dave touched many lives as a devoted family man and a loyal friend. He will be greatly missed by his family and friends. Dave is survived by his wife, Heidi; son Kenny and his wife Kathy, their son Kade; son Tim; daughter Liz and her husband Vivek and their son, Micah; daughter Katie and her husband Alan and their two children, Piper and Jude.